View More In Floor & Parking Mats - Page 2. 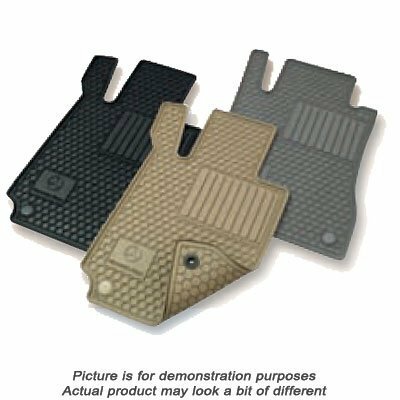 Our All-Season Floor Mats keep the interior of your vehicle neat and protect the original carpeting from stains and soiling. Debris is collected on the mat itself that can be easily cleaned. If you have any questions about this product by Mercedes Benz, contact us by completing and submitting the form below. If you are looking for a specif part number, please include it with your message.